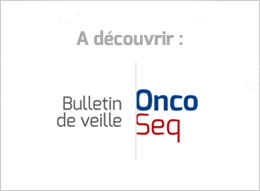 Spontaneous interconversion between HER2-positive and HER2-negative states could contribute to progression, treatment resistance in breast cancer. There’s evidence that both stem cell biology and our environment and behaviours affect our chances of developing cancer, but which plays the more important role? Until now, the two sides have failed to do one thing; look at the biology of how the two factors – DNA damage and stem cell division – combine in living cells. The report is not exactly new research, but a review of previously published studies that looked at the link between weight and cancers. It is the result of a working group of international cancer researchers who met to review the evidence in April this year. To test the power of money to combat addiction, researchers in Switzerland offered about 800 low-income smokers pamphlets and online cessation guides. Half of them were also eligible to receive as much as $1,650 if a series of six lab tests verified that they stopped smoking. A large clinical trial, published today in The Lancet Oncology, should spare young people with a rare bone cancer from the side effects of too much chemotherapy. The researchers discovered that T cells, a type of immune cell, contain a group of oxygen-sensing proteins which act to limit inflammation within the lungs. This new research shows, however, that oxygen also suppresses the anticancer activity of T cells, thereby permitting cancer cells that have spread to the lungs to escape immune attack and establish metastatic colonies. A survey of 79 U.S. and European oncologists, published last week by investment services firm AllianceBernstein, found that 57 percent of respondents anticipated using more Keytruda as a result of the latest trial results, and 70 percent said they will be more likely to order PDL1 testing for patients. The European Medicines Agency will review Mylan and Biocon‘s marketing authorisation application (MAA) for their proposed trastuzumab biosimilar, used to treat certain HER2-positive breast and gastric cancers. That pricing power helps explain why the median price of an orphan drug is a jaw-dropping $100,000 per year. For a market of 50,000 patients—well under the 200,000 cap for orphan designation—total revenue for a median-priced drug would be $5 billion per year. Yes, you read that right: that’s billion with a b. Expectations matter, but this study — which Lichtenfeld called “idea-generating as opposed to definitive” — doesn’t show that the side effects women suffer from hormone-based breast cancer drugs are in large part psychosomatic. Treatment goals shift over time as our performance status — the measure of how well we can carry on everyday activities — declines. It strikes me that cancer patients recurrently have to evaluate our condition in order to reassess our aspirations and priorities. To make replication studies more useful, researchers must make more of them, funders must encourage them and journals must publish them.